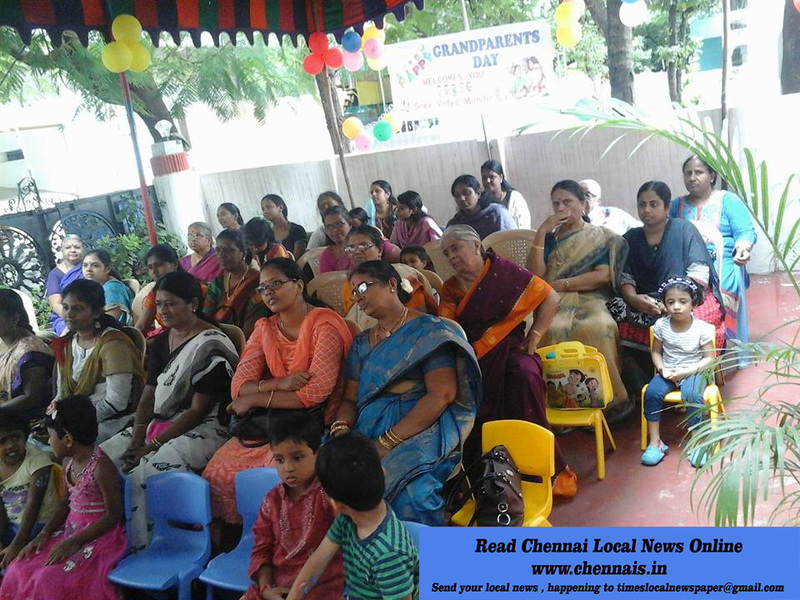 It was indeed the STAFF of Sree Vidya Mandir initiatived to have implement a very nostalgic “Grandparents Day” celebration on October 3rd at school. The grandparents were invited along with parents for the programme to bring about a positive approach and not forget the greatness of grandparents. The programme was entertaining as well as informative to the grandchildren of the good old days of their grandparents. The programme started off with a prayer song by the students followed by the tiniest tots reciting rhymes and a small “brain gym “performed by students to show how it helps them be focused and start the day well. 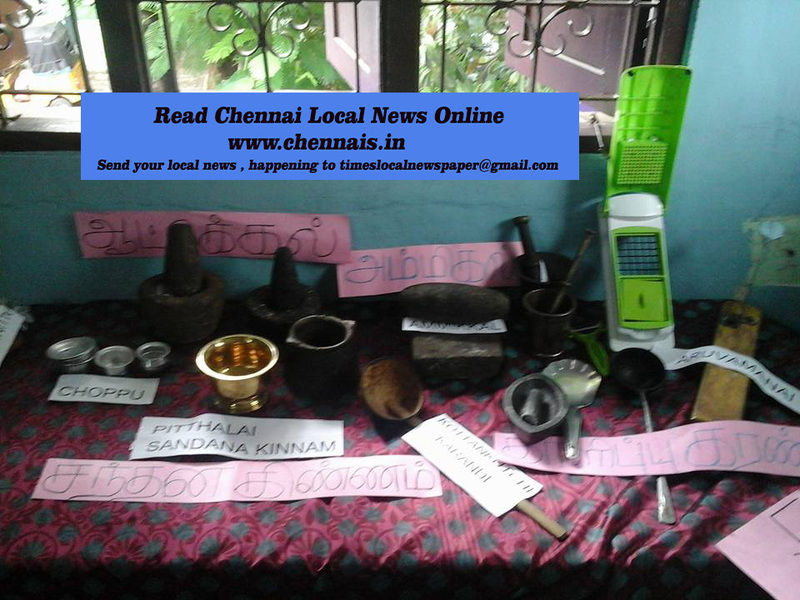 An exhibition was showcased to bring out all the lonely old brass utensils, jars (in which grandmothers made tasty pickles, vadams and stored them fresh!) the grinding stones in which grandmothers land-ground the batter to make “tasty idles” with “Ammikkal chutney” which are old forgotten dishes today. The highlight was the antique “idiappam hand presser”. One must not forget the effort and time they took in maintaining them. It was a visual treat to see the old lamps and their stands that had so much divine significance and no present day LED lights can replace. It was now some fun time!! There were some contests for grandparents like “flower tying” and “vettalapakku folding” which was done so meticulously in a given time can’t miss out grandparents who were blindfolded and asked to make a round “bindi” with kumkum and also try tailing the elephant showed their sharpness. 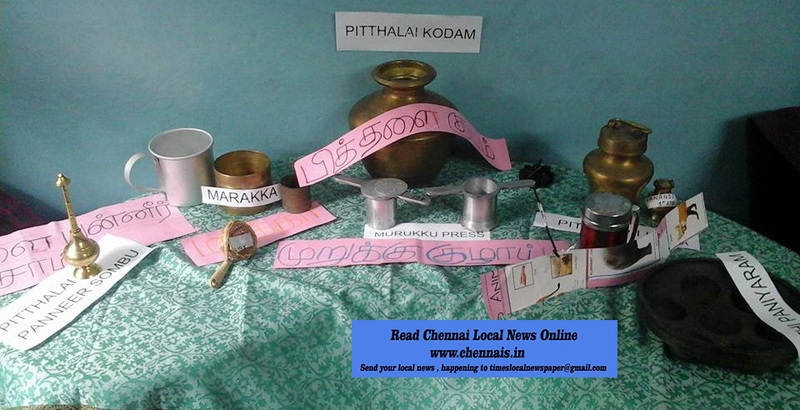 These events reminded us about their favorite pastimes the “dhayakkattai” (famous dice game of mahabaratha) and “pallankuzhi” (both were exhibited in the exhibition) the lengthy decorative “pullikollam” which all required accuracy and calculation. Along side refreshments were served to keep them energetic for a debate session (conducted by Subha ma’am) on present generation where grandmothers expressed their views as to how times have changed from the good old “home remedies” to today’s fast food and life!! Music was also tapped where grandmothers sang some melodious classical songs. Last but not least was a very jumpy fold song by a student’s grandfather (70 yrs old) which kept everyone foot tapping and clapping kudos to him! This celebration indeed reminded us that grandparents are undoubtedly stars and their ERA can never come back!